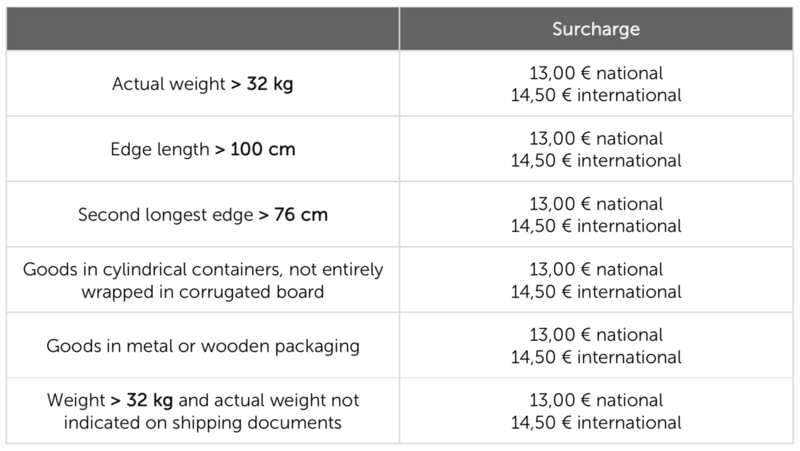 Dimensions and weight limitations for UPS Germany. UPS compares the volume weight (LxBxH in cm / 5,000) with the actual weight of shipments within the framework of the tariff determination. Please note to always use the higher value! UPS reserves the right to charge an extra charge for each package that requires additional handling. UPS does not provide a money-back guarantee for items that require additional handling by UPS and may be delayed. As a result, UPS will not reimburse the shipping costs if the shipment requiring additional handling does not arrive at the regular time.